“Life is what happens to you while you’re busy making other plans.” Allen Saunders and the whole bunch of people who are credited with saying this, knew what he was talking about. My week was not exactly as planned, but sometimes, I enjoy letting life sweep me away in its wake; it is much easier to do that and savor the happiness than resist. Also, I love surprises, the element of the unknown. We had a mid-week break, with August 15 and 16 being holidays. August 15 was Independence Day – India turned 66 and August 16 was Varalakshmi Vratam, a religious festival that is widely celebrated in South India. So lots of family time together. We wrapped up the week by going out for dinner yesterday! It has been raining almost all week and we ushered in the week with a few unplanned personal showers. Quite refreshing, since the sun always made it a point to follow right after! There’s a life lesson there, eh? One day, while returning home by the bus, there was a roadblock on the regular route and the traffic was diverted. The alternate route took us far from home and we got off at the nearest stop and walked home. It was a beautiful sunny afternoon. 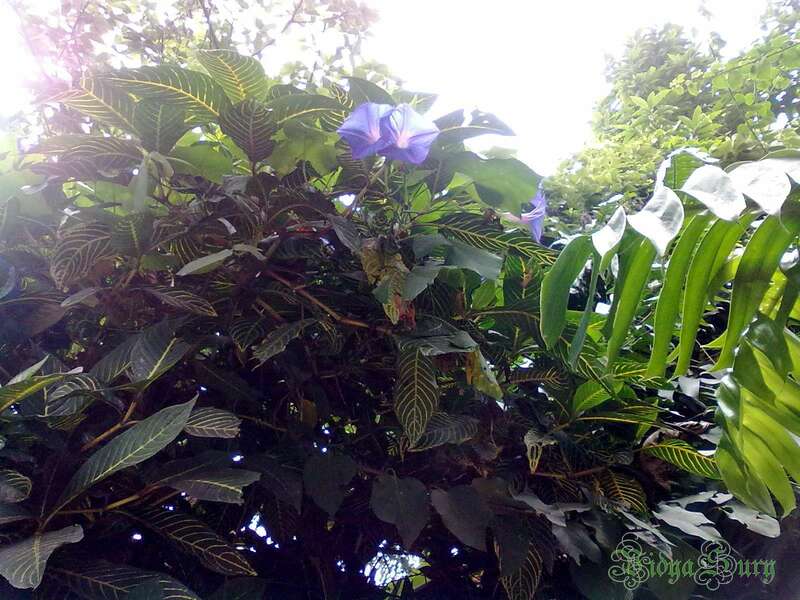 I wonder if you remember a photo I posted in a recent post, of a tree with purple flowers? Well I returned home via that street and was stunned to see the change in the hues. Here is the photo I had posted earlier. Take a look. Isn’t it pretty? Soon these flowers will be gone. It will be time for the tree to rest, rejuvenate and bloom again in a few months. As I walked along the sidewalk, I looked up to see the sun shining through the branches of another tree with beautiful brilliant blue flowers. My photo does not do it justice! Look at this – it literally felt as if the sun told me to just relax and enjoy the moment. I listened. I did. 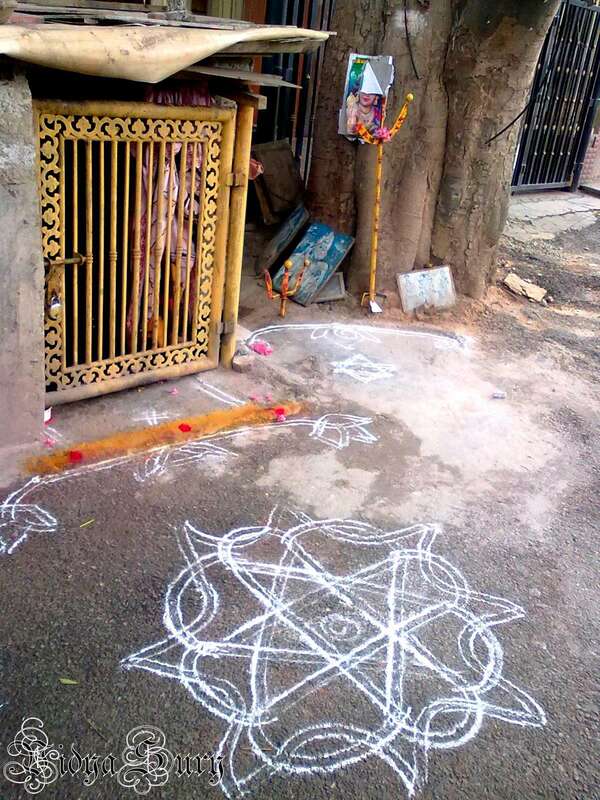 Here’s a street side temple I see every day. Somebody cleans that little room with the tin roof and grilled gate, lights a lamp for the deity and also ensures the surroundings are clean. You see the trident? It is washed every day and covered in turmeric followed by the red vermillion dots. Lemons are impaled on the sharp tips on Fridays. See the design in front? That is done afresh each day. I enjoy seeing this almost every day, just to see the new one. This prominent sign en route makes me feel sad. My own red helmet sits on the top of my shoe shelf, and has been there for months now. I fondly dust it every other day. I still can’t ride my scooter as my ankle isn’t healed yet. It will be a while, too. Sigh. The ankle has been giving me hell alright with sleepless nights. I visited the doc and now have to get an ultrasound scan, whose report will decide what to do next since medication alone isn’t helping. Oh well. Let’s look at the bright side. I get to see delightful sights like these when I take the bus. There was this young girl sitting with her arms outstretched so the design made of henna could dry. I tell you, I felt nervous as more and more people boarded the bus and I started praying her beautiful hands should be undisturbed. And then it started to rain. Arrgh. The wise girl simply got off at the stop, unperturbed and waited for the rain to stop. Did you notice the colorful stones embellishing the design? When I asked her if I may take a picture, she looked up and smiled at me prettily. Another event that was not exactly as planned was this one: go ahead, click the photo! Yep. My blog, Coffee With Mi was declared the Winner in the Literature and Personal – Memoirs category in the 2013 Indian Blogger Awards conducted by Indiblogger.in, India’s largest blogger network. What a pleasant surprise this was! Of course I am thrilled. And that is how my week went. Did you enjoy a memorabale moment? I am linking up with the fabulous Unknown Mami for Sundays In My City so we can travel the world together! Do you think above the line or below? Vidya, your photos are lovely. Thanks for sharing them. It had been a while since I’d visited; hope you’ll stop by, also. Thank you, Eva! Always lovely to see you! Happy to be the first commentor. Philip V Ariel recently posted…“Let us save our trees and other forest resources.” Please Join Me in this good cause. Thank You. Thank you Philip! Yay! for being the first! I like how you put it “un-notice the changes”! It is the truth. We allow our minds to get clouded by trivial things that are transient. Nothing like being in nature to cheer us up! I love that quote –it’s basically my mantra for my blog. I’m glad that the walk became something special, though it’s amazing how quickly the plants change, isn’t it. The photo of the henna tattoo is fabulous and I am so happy to hear that your blog is being honored. 🙂 I love to visit your SIMC posts, Traci. By the way, that henna is not a tattoo. 😀 It is drawn manually – with an icing cone filled with the henna paste. The guys who do it are fantastic and take around 2-3 hours. The speed at which they work is amazing. You have a fab week too! The photos that you shared are beautiful. Thank you for sharing. Congratulations on the award on your other blog. Love your pictures. The flowered tree is beautiful. Congrats on your award. Well deserved! Thank you so much, dear Cathy! And yea, I miss my Honda Activa too.. I miss the joys of riding it around Bangalore! Hema, thank you! I feel very sad to see my scooter sitting in my garage. But I am not sure I want to ride it any more – the traffic is quite horrible! Why do you miss yours? Don’t you have it any more? Oh yes, I love how life presents us with wonderful surprises when we are open to taking things as they come. 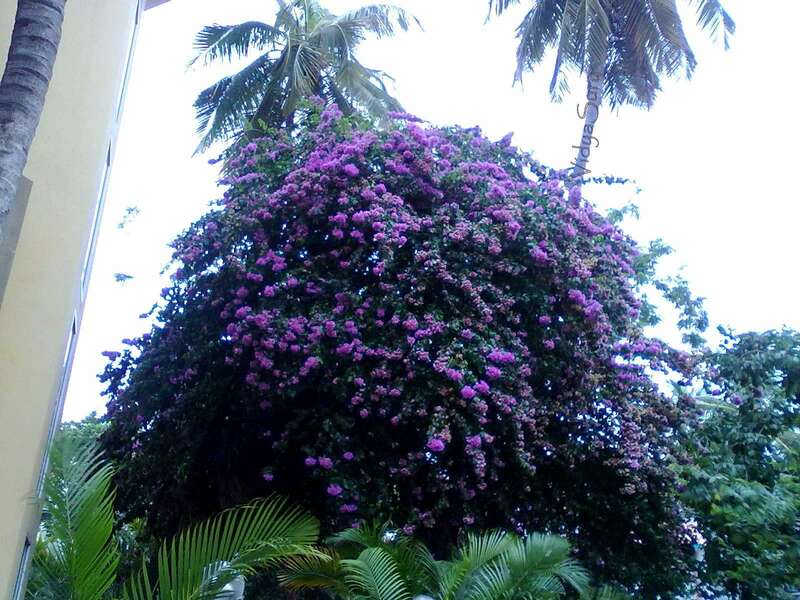 The purple bougainvillea was grafted with an orange one? Both pictures look lovely! And hennaed hands – what fantastic work that is. What guts to get on a bus with that though, knowing our buses! I’m sorry to hear about your ankle still giving trouble, Vidya. Physio doesn’t help? I do hope it heals fast. That bougainvillea looked different yesterday! More orange, and brighter purple right at the top! It is so stunning to look at!. You’ve no idea how nervous I was as the bus filled up and the girl sat in an aisle seat – you know everyone leans in on those who’re sitting. Urgh! My husband is growing some lovely flowers and the other day he surprised us with some pretty lilies! 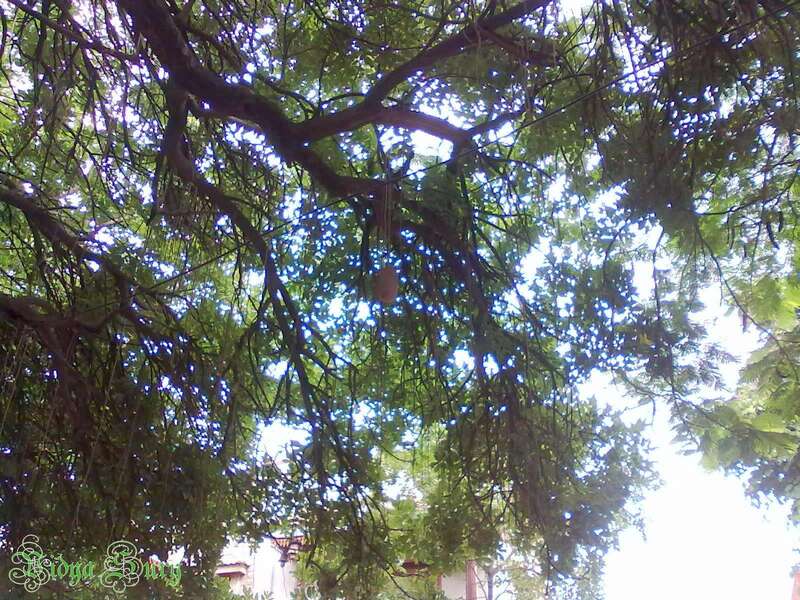 Did you notice that parijaat trees are blooming these days. I just love those flowers. And congrats again on the award! Oh yes, Rachna! I especially noticed the parijaat trees because there are a few on our way to the market – and I love how they perfume the air and carpet the ground. 😀 There’s a big story behind that flower, you know? Thank you – and I am so glad I can say same to you with the award! No tell me the story behind parijaat flowers. I would love to know! 🙂 So here’s the thing. Indian Mythology has it that the tree grew from Kunti’s ashes (mother of the Pandavas). 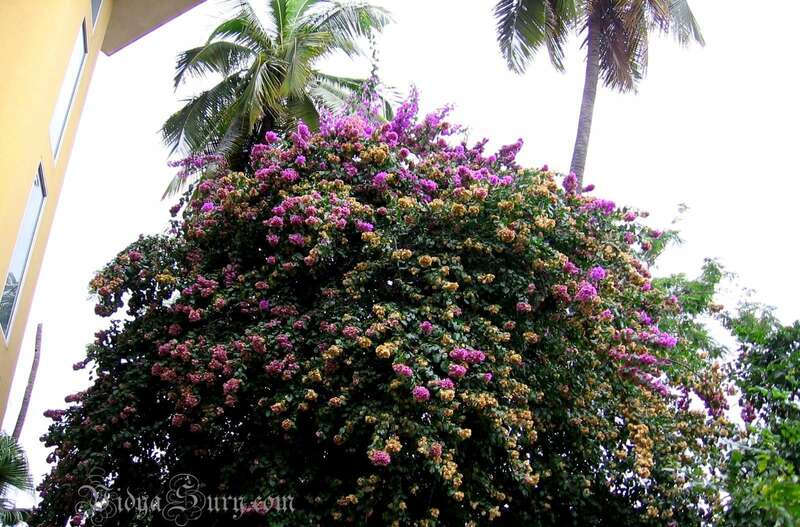 The tree blooms at night and the flowers are shed in the day time because Kunti was rejected by Surya the sun god. Apparently, according to Wikipedia, there’s a place called Kintur near Barabanki, named after Kunti where this tree was first planted. Then there is another one, the more popular one: During the Amrit Manthan (you know where Shiva swallowed the poison and is therefore called “Neelkant because it is lodged in his throat), one of the treasures that came up with the pot of amrit is the Parijat tree. It was taken to heaven and graced Indra’s garden. One day, Narad Muni happened upon it, picked up some flowers and gifted them to Rukmini, Krishna’s wife in Dwaraka. Now, Satyabhama, who was also Krishna’s wife was jealous. She wanted the tree for herself and threw a tantrum with Krishna, who obliged. In the process he got into a war with Indra because the tree belonged to Indra’s wife, Sachi. Anyway, long story short, Krishna won the war and won the tree. Krishna, however, offered to let the tree be, but Indra was happy to give it. He didn’t feel bad about being defeated by Krishna, an avatar of Vishnu. So the tree was planted in Satyabhama’s garden. But Krishna, cleverly foreseeing that he would have to deal with Rukmini, smartly planted it on the border of his garden so that the tree would flower on both sides of the fence, thus making both women happy. I love mythology. Don’t you? Hugs! What an interesting day you had Vidya. I hope your foot heals soon. Thank you, Suzy. I’ve found that if I notice things around me, it is always an interesting day. 😀 I always notice. Loved the changing hues of the flowers and the girl with the henna design. Congrats once again for the award. nice reading your post. Fran, you should see that tree now. Brilliant purple at the top and deep orange lower down right up to the bottom. It is gorgeous! I saw bejeweled henna for the first time – though I admit she made me worry to death about getting off the bus with the design intact. 😀 It hadn’t dried yet! Hugs! I am glad you walk with me! Always love spending the day with you Vidya…that flowering tree was simply amazing and as for your award…richly deserved dear friend. Very richly deserved. Holding your comment close to my heart, Elle! Hugs! Yu never fail to surprise with your ingenuity.I like your knack of bringing home the with rare vividity the microcosm that surrounds you.The flowering trees,the natural settings,the lovely temple under a tree.This is the magnificent beauty of our country that we would have missed had it not been for your ubiquitous lense that captures and blends every “mini-gem” of a pic within the story you are telling. Quite often i have a feeling of deja vu reading your posts. Mona, what a lovely thing to say! Deja vu makes for a true connection! Hugs and love. I so enjoy reading your comments! I love your sunny attitude! I’m sorry to hear about your ankle. I hope they can figure out how to heal you. We had a very relaxing weekend camping – I wrote all about it, and my youngest, 13, wrote part of the post! Tina, I loved that post! And the next one. 🙂 I pamper myself by receiving my favorite bloggers’ posts via email. I’ve never gone camping, you know, though I do know I’ll love it. This post cheered me up!. Thanks Vidya. Thank you, Pattu! By the way, Gita Sharma, who lives in Hyd is also an avid terrace gardener and mentioned she was trying to connect with you. 🙂 Her comment is here on this post. This is how you connect people!. Wonderful. 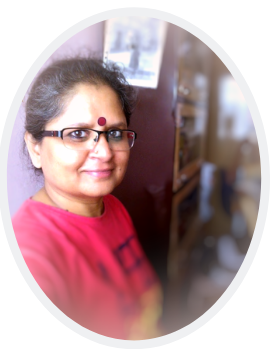 Hope Gita Sharmaji will write on my blog.Thanks for connecting Hyderabad people via Bangalore :-)(and affection). I hope so too, Pattu! I just let her know what you said when she commented on my latest post! Thank you, Santanu! I love long weekends too. Sometimes we plan a lot of things, then end up simply enjoying the time together. Thank you so much Lisa! You know how much I enjoy your blog! Hugs! congratulations on your win in IBA, Vidya 🙂 some wonderful photographs. I like nature so the first four were very attractive to me. Thank you, Leo! 🙂 Hope you had a good weekend! Thank you, dearest Kaarina! Hugs! Your photos on Facebook delight me! And the henna on the woman’s arm is STUNNING. I want to do this on my feet! It will look lovely on your feet, Kim! There are designs that depict scenes from stories, you know? Congrats on the award for the other blog. It is wonderful that you can hear the peaceful messages from nature and actually take time to listen and enjoy them. Thanks for sharing the henna photos as well. Just lovely, I hope she made it home with a blemish. Rhonda @Laugh Quotes recently posted…A Mystery: Who Ate The Face on the Cake? If the face of the cake were missing in my house, it would not be a mystery 😀 The entire top layer would be missing! 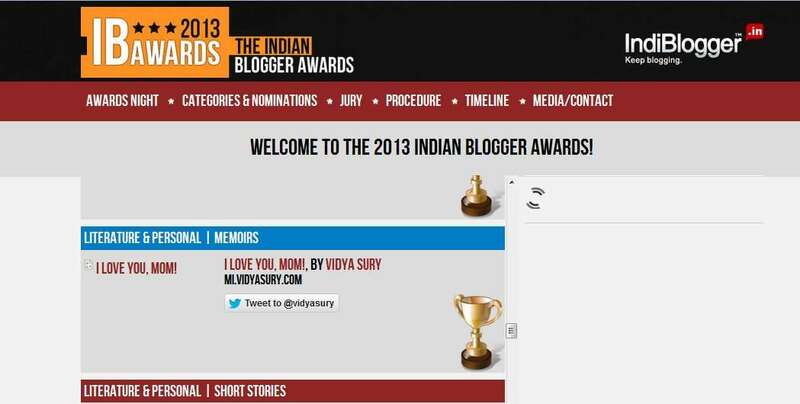 Once again congrats Vidya on winning the Indiblogger contest! Yeah!! I hope your ankle heals, sending you healing vibes. Hugs! Thank you, Ruchira, for your kind words. 🙂 Thank you for the healing vibes. I often find that friends’ wishes and prayer solves most issues for me. hai, congrats it is a great feeling to be recognised for what you do. ishall att my pics in your mail .I am still learning all this stuff am not used to blogging/uploading pics etc.I do have a collection of plants and pics of flowers in my garden.I live in Hyderabad and fond of plants /and gardening I have limited space & and end up buying plants thatI like & the outcome my garden is not very organised.Where do you stay in Chennai I would love to meet you next time I visit I usually stay at T nagar at my cousins place I am a tamiliianbut lived in Hyd almost all my life.ihave lived inManhattan N.Y./Ahmedabad /& now back in Hyd. About myself I shall write more in your mail. 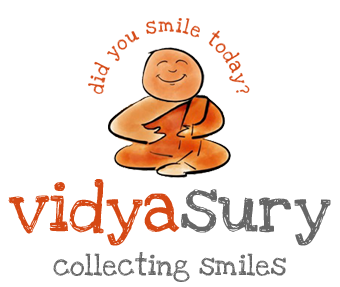 I luv gathering smiles, have a fun filled day. Hi Gita! :-)How lovely to hear about your plants! 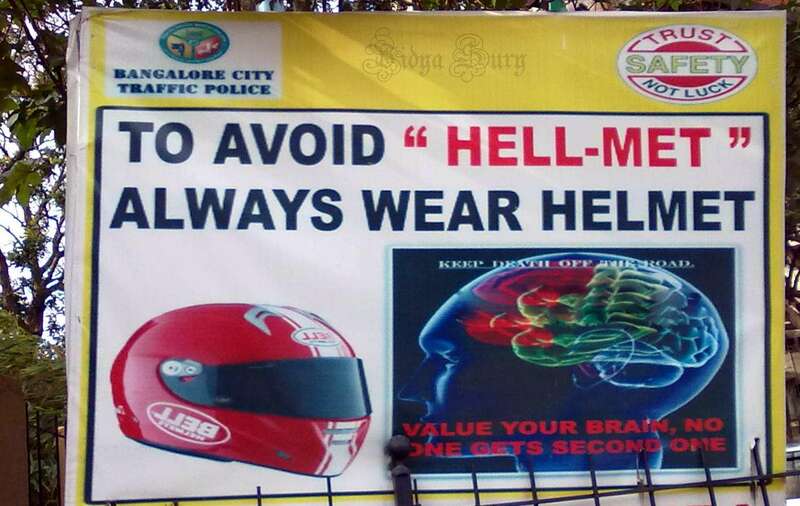 By the way, I live in Bangalore, so next time you visit Bangalore, you are welcome home. Do you know Pattu in Hyderabad? She is an avid gardener and a lovely person. You’ll find her comment here if you scroll down/up. Do take care of your ankle and I hope you recover soon. 🙂 I am thinking of your sister’s wedding pics as I write this, Afshan! I can imagine how pretty henna would look on your hands! I always love your Sundays in Your City!! 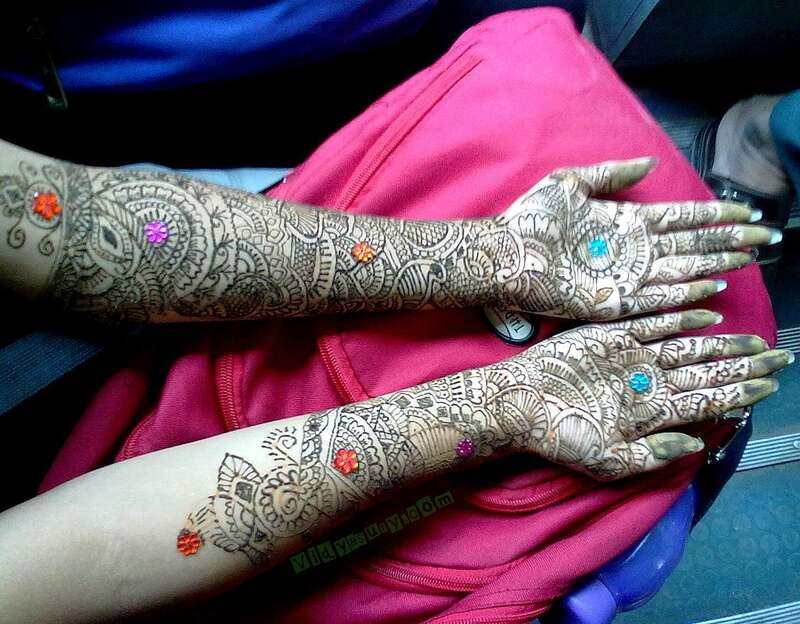 Beautiful pictures especially the Henna arms. I’m so sorry your ankle is not healing :(. And congratulations on your wonderful award! You’re amazing! Betsy/Zen Mama recently posted…Do You Think Above the Line Or Below? 🙂 Betsy, thank you! I am hoping the ankle heals too. My doc seems to think it need surgery. I am not happy about that. Those are some really nice pictures …and ya the henna hands were really pretty. Take good care of your ankle and I hope you get well soon. wow… Vidya You have a way with life… You make it look so bright and warm..I think I have told this earlier also.. but this is exactly what I feel every time I read your posts… I cant agree more with you on the fact that life is not to be planned but savored..Congratulations for the award.. you so very well deserve it…So happy to know you!!! Hugs, Shiva! Your comment absolutely lifted my spirits! Life is a bunch of unexpected events. One of the beautiful characteristic of life is its unexpected presentation. I think we should be prepared for the unexpected not for the planned. That I am, Steve, because more often than not, that’s what happens! Wow! Her mehndi is amazing and I love the colored stones too! What a great idea! Very brave of her to take a bus under these circumstances! Happy birthday to India! The design on that woman’s hands is just stunning. 🙂 Yes! Thank you, Claudya! True, Aditi. All we have to remember is to notice to enjoy the rewards! Life may be full of surprises and still not change. I walk each morning now with my new grandson. As we go we study everything in detail each leaf and flower; he for the first time as his neurones grow and connect setting patterns for life, I hope. Yet, each year he will see the beauty of these flowers as if for the first time and marvel at their daily changes. Don’t you just love that, Joe! I’ve enjoyed that with my son. In fact, he’s 15 now and still manages to see certain things with a new perspective, with no memory of having seen it when he was a toddler. It humbles me.